Photo courtesy Elardus de Lang, Truvelo Manufacturers Armoury, South Africa. 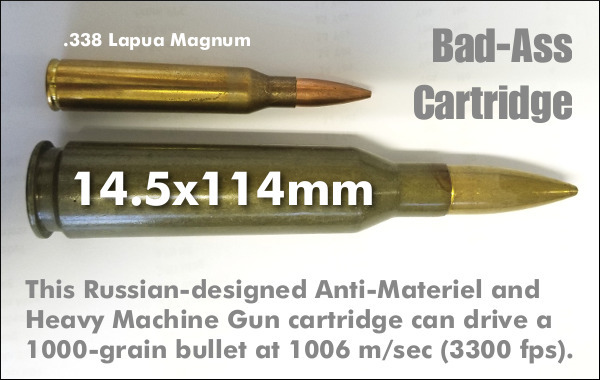 Believe it or not, here is a cartridge that makes a .338 Lapua Magnum look like a toy. The 14.5x114mm cartridge was designed as a MG and rifle-fired anti-materiel round. To translate from the metric system to caliber and inches, the round is a mammoth .57 caliber which measures 4.49 inches to the case mouth, and 6.13 inches overall. That jumbo-sized case holds a whopping 655 grains of powder. Commonly-loaded projectiles weigh 920-1030 grains. The 993gr armor-piercing projectile has a muzzle velocity of approximately 1006 meters per second (3300 fps) and can penetrate 30-32 millimeters of RHA steel at a range of 500 meters. The 14.5×114mm has 42.53 ml (655 grains H2O) cartridge case capacity. The exterior shape of the case was designed to promote reliable case feeding and extraction in bolt action rifles and machine guns alike, under extreme conditions. Cartridges typically use lacquered steel cases, but some countries also use brass cases. All dimensions are in millimeters (mm). Americans would define the shoulder angle at alpha/2, or 22.5 degrees. The common rifling twist rate for this cartridge is 455 mm (1:17.91″) with eight lands/grooves. According to official guidelines, the 14.5×114mm can handle up to 360 MPa (52,213 psi) piezo pressure. The 14.5×114mm (.57 Cal) is a heavy machine gun and anti-materiel rifle cartridge used by the Soviet Union, the former Warsaw Pact, modern Russia, and other countries. It was originally developed for the PTRS and PTRD anti-tank rifles, but was later used as the basis for the KPV heavy machine gun that formed the basis of the ZPU series anti-aircraft guns that is also the main armament of the BTR series of armoured personnel carriers from the BTR-60 to the BTR-80 and for heavy anti-material sniper rifles. The cartridge was designed in 1939 and first issued in 1941. Share the post "Mega Cartridge — the 14.5x114mm (From Russia with Love)"
How would you like to represent the United States in top-level International Shooting competitions? Well, if F-Class is your game, here is your opportunity. F-Class Team USA will be conducting try-outs for the United States squads who will represent our country in F-TR and F-Open divisions (plus Under-25) at the 2021 World Championships. The try-outs are open to any competitive shooter with a class-compliant rifle and the will to win. Team leadership expressly welcomes newcomers. Initial and primary tryouts are planned during the 2018 U.S. National Championships in Raton, NM, and the 2019 SW Nationals in Phoenix, AZ. There may also be an early 2019 tryout date at Butner, NC. On behalf of Team USA 2021, we are pleased to invite the best of USA F-class to consider joining our effort for the 2021 World Championships in Bloemfontein, South Africa. We are reaching out with this invitation to provide some general information on our plans for 2021 and for upcoming try-out dates for the unified Team USA: F-TR, F-Open, and Under 25. 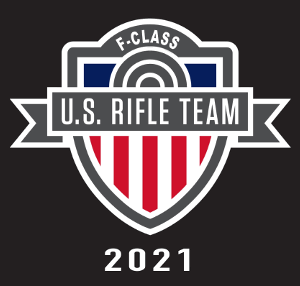 We are moving forward with F-Open, F-TR, and Under 25 unified as one USA F-class 2021 Team. This will allow us to take advantage of each team’s strengths and provide needed purchasing power and coordination for event and logistic costs. We also believe this will help encourage and grow our sport. We will share ideas, event/facility dates and best practices within this unified team, however, individual team segments will make their own decisions. Therefore, please direct your responses and inquiries to the appropriate team leadership. Being part of Team USA is a major commitment of time and resources. We do have wonderful and sizable sponsorship partners who we thank and rely on for moderating individual team member costs. However, due to the location of this World Championship effort, one can expect to help cover a commensurate level of the costs. We are now moving into the USA “development team” stage of the process. This team is open to newcomers… there are many newer names showing up on the top of leader-boards and many new teams that are making positive impacts. If you are interested in being part of Team USA, please consider making that commitment. We would like to hear from you by March 23, 2018. Attendance at SWN and US Nationals will be expected for 2019 and 2020. We will also likely expect the final team to attend the Berger SWN in 2021 or have an alternative site for a final practice prior to our trip. We will try to have afternoon or evening team sessions during these events however we may have team days just prior or after these events to maximize the use of individual travel dollars and time. We will also likely have additional team training dates in 2019 and 2020, likely on east coast ranges to facilitate best availability for all. 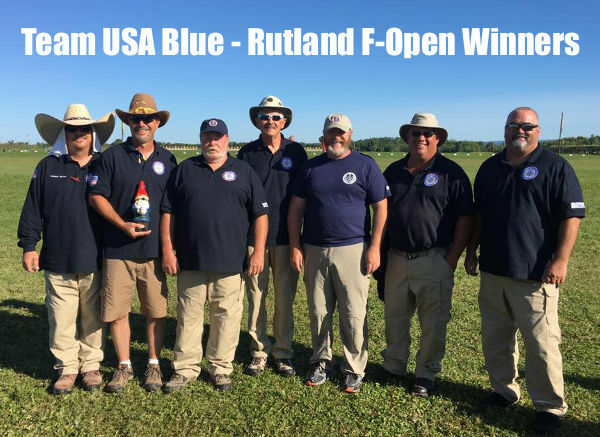 We are equally passionate about developing coaching/shooting teams for winning gold medal efforts in both the Richardson Cup (8-man) and Rutland Cup (4-man) World Championship Events. Obtaining a shooting or coaching spot on one of these teams is an absolute gauntlet of a commitment and consistent strong results will be required as the USA is blessed with wonderful depth. We encourage all, with proven success in our sport, to test themselves at this highest of levels. Initial and primary tryouts are planned during the 2018 US National Championships in Raton, NM and the 2019 SW Nationals in Phoenix, AZ. There may also be an early 2019 tryout date at Butner, NC. 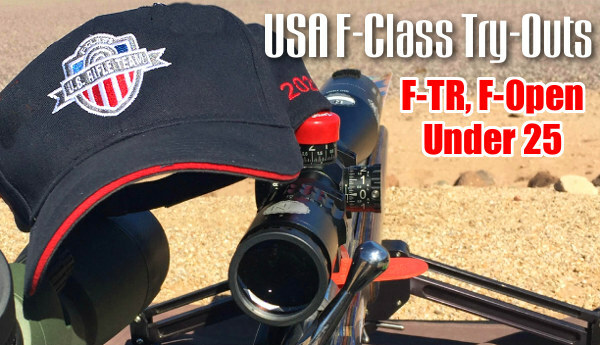 Share the post "F-Class Team USA Invites Shooters to Championship Quest"
The 45th Annual Safari Club International (SCI) Convention is underway now at the Mandalay Bay Resort and Casino in Las Vegas, Nevada. The big event opened February 1st, and concludes Saturday the 4th. Over 20,000 hunters and sportsmen are expected to attend this year. The SCI show is famed for its fund-raising auctions. At this year’s Convention, over $10 million worth of exotic firearms, once-in-a-lifetime hunts, and fine collectibles will be auctioned. 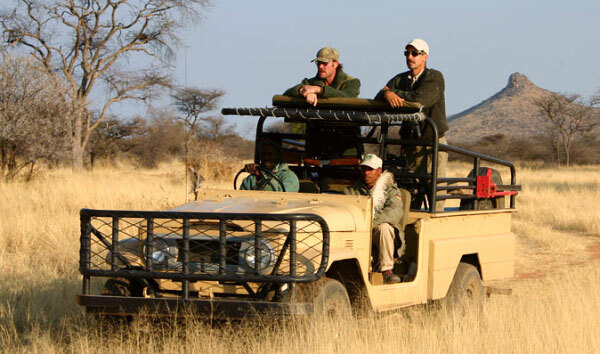 Net proceeds from the auctions are used by SCI to promote conservation and game management efforts worldwide. Here’s a past auction item, a Krieghoff Double Rifle valued at $84,000. 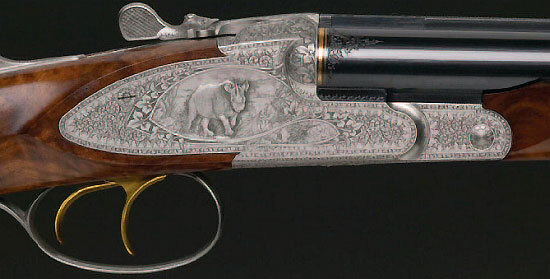 This ‘Legends of the Hunt’ double rifle, chambered in .470 Nitro Express, is custom engraved by master engravers Michael Oke and Andreas Scholz. The stock is exhibition-grade Turkish walnut with ebony pistol grip and fore-end tip. There are gold barrel bands and gold accents on the express sight blades and double triggers. This is a huge event, with over 1000 exhibitors from 33 countries and six continents. Notably, hundreds of top guides and outfitter services are showcased in the Outfitters Hall. The SCI convention also features many firearms manufacturers and custom gun builders. In the Gun Maker’s village prestigious European gun makers and engravers display their work. The SCI convention boasts “the largest display of wildlife art at one venue anywhere in the world” according to Ammoland.com. The work of 55 artists and 110 taxidermists will be on display. 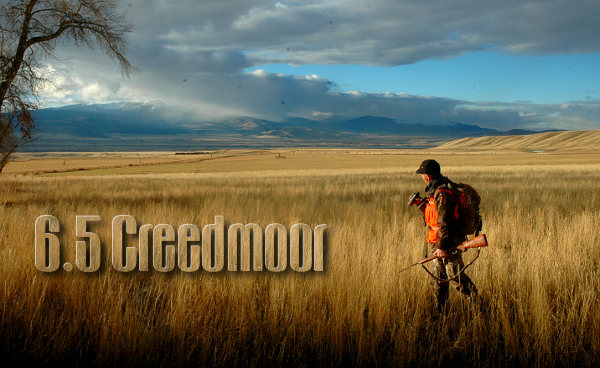 Hunt of a Lifetime — What Would You Hunt and Where? 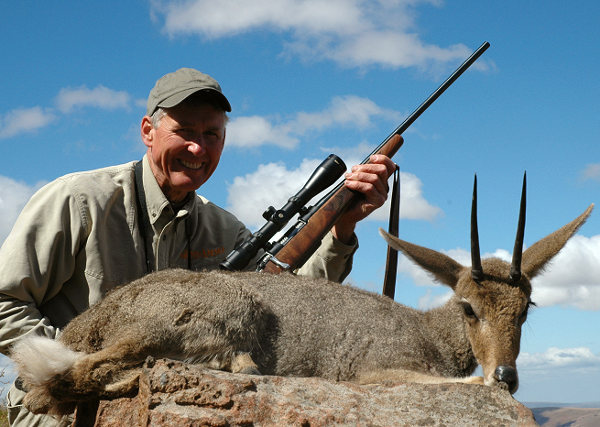 Photo courtesy Namibia Hunting Safaris. 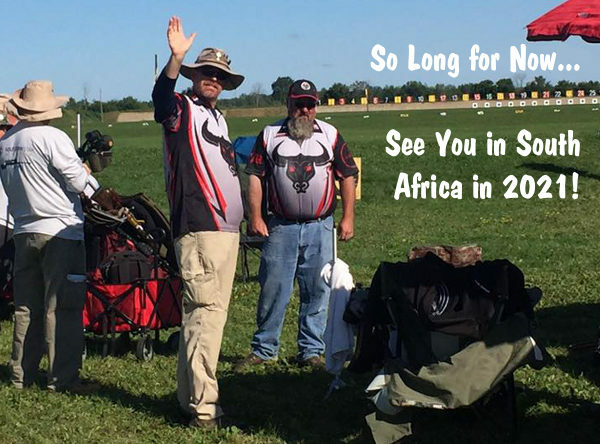 Share the post "Safari Club International Convention Underway in Las Vegas"
American shooters, along with Brownells and Redding, are providing help to the South African Palma (Target Rifle) team members, who will be competing at the Long Range World Championships at Camp Perry in early August, 2015. The ability of the South Africans to compete has been jeopardized by the unexpected seizure of their pre-shipped match ammo by U.S. Customs and ATF. 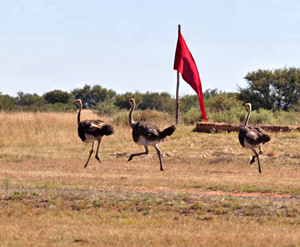 We don’t know why the Feds seized the South Africans’ match ammo, but without it, the South African Team’s ability to participate in the Long Range World Championships has been threatened. To rectify this situation, American F-TR and Palma shooters, backed by Brownells and Redding, have secured reloading equipment (presses, dies) and ammo components (brass, bullets, powder) so that the South Africans can assemble the needed .308 Win ammo on their arrival in the USA at the end of July. 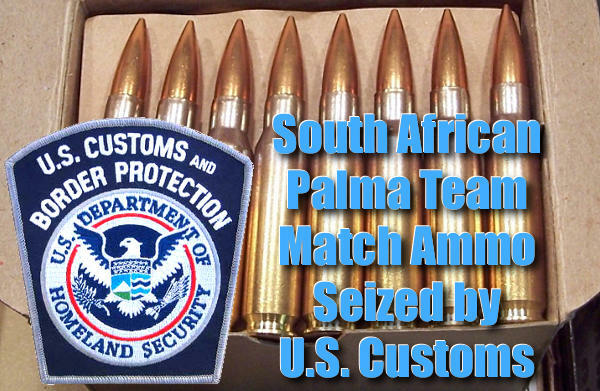 According to industry sources, the shipment of match ammo for the South African Palma team was seized at the U.S. port of entry by U.S. Customs and ATF agents. When Ray Gross, captain of the U.S. F-TR rifle team, learned about this, Ray contacted Geoff Esterline, Product Category Manager at Brownells. Esterline immediately turned to Robin Sharpless, Executive VP of Redding Reloading, for help. 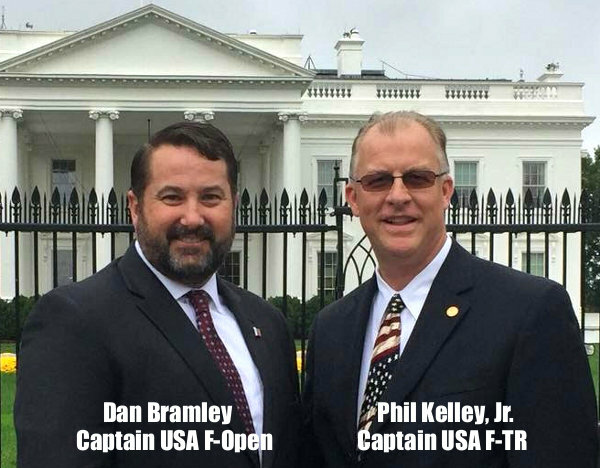 The 2015 Palma Match and Long Range World Championships will be held August 3-15, in conjunction with the annual NRA National Matches at Camp Perry, Ohio. 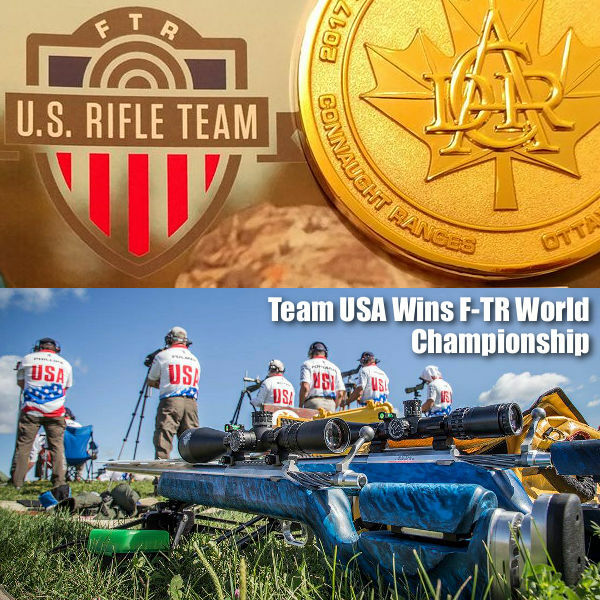 Ray Gross reports: “The folks who deserve credit for this are the members of the U.S. Palma Team, Ryan Henning, Geoff Esterline of Brownells, and the folks at Redding. Members of the Palma team had donated much of the needed equipment within hours of U.S. Palma Team Captain Dennis Flaharty putting the word out. 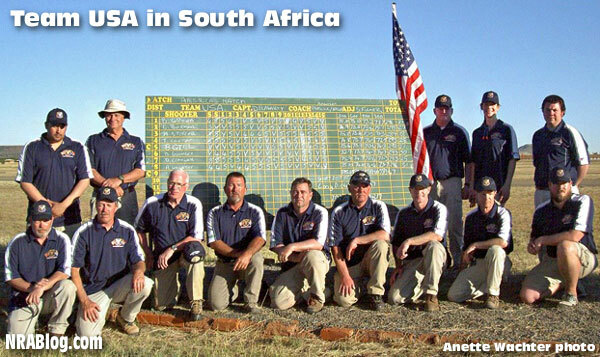 Share the post "U.S. Shooters Help South Africans After Match Ammo Seized"
Protea is the top team trophy at the South African International High Power Championships. Named after the South Africa’s National Flower, the International Protea is shot over three ranges measuring out at 300, 600 and 900 meters. Keeping with the earlier team matches, it was South Africa that powered past England and the United States to claim the hometown title. With twelve shooters per team gunning for a perfect match score of 1800, it started at 300 meters. England held tighter than the rest finishing with 597. Right on the Brits’ heels were South Africa at 595 and the United States at 593. That’s when South Africa made its move. But things changed at the 600 meter line. England dropped ten points at 600 meters. Both South Africa and the United States dropped five each. That left South Africa in command with a two point lead over the United States. The hometown advantage would be even more apparent in the final round (900m). Though South Africa walked away with most of the team titles, it was an Englishman who won the overall individual championships. Mr. Parag Patel, a consultant surgeon at St. George’s Hospital in London, finished his South African tour as the tournament’s top shooter. Parag won the South African Championships, their most coveted prize which is made up of the Grand, the State President’s second Stage and the State President’s Final. 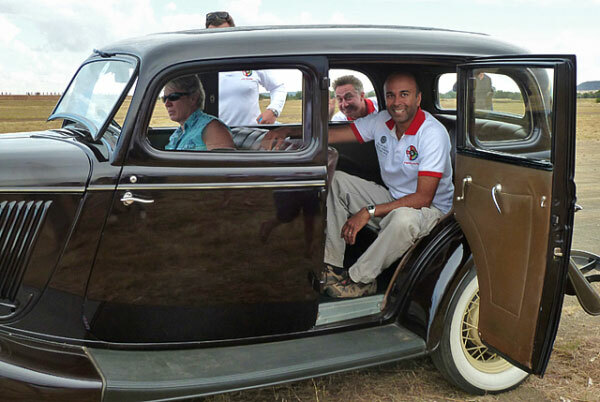 As a reward for winning the South African title, he was driven off the range in a vintage 1934 Ford. 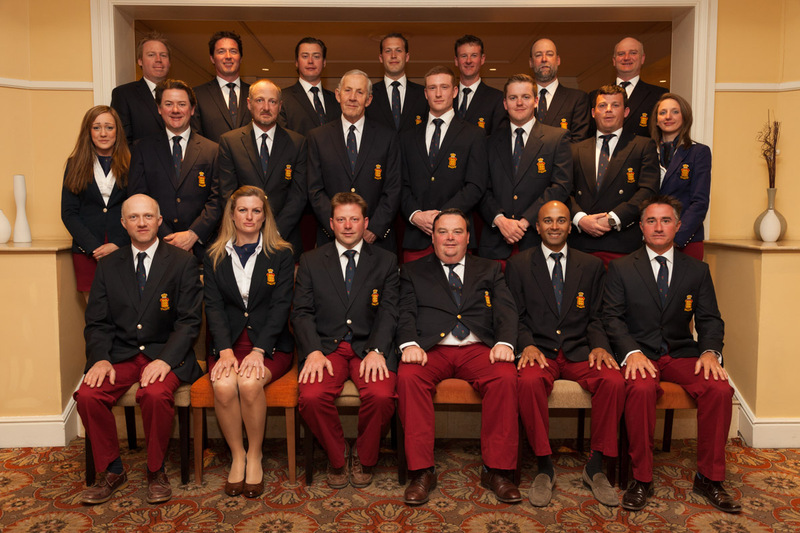 Click Here to see Parag with the 2013 England Rifle Team. The tournament now complete, teams are all returning home. For some it’s an incredibly short drive and for others it’s an unbelievably long plane ride. All in an effort to keep in game shape for the next Palma Rifle World Championships in Camp Perry, Ohio. 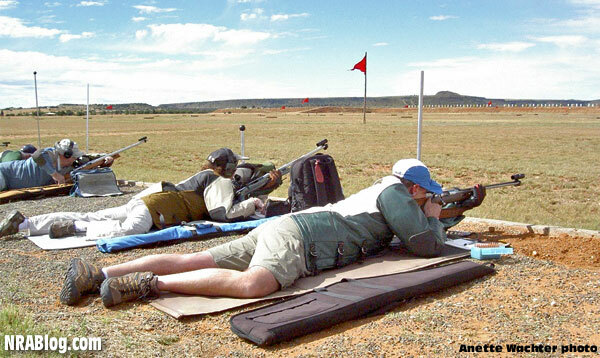 Share the post "South African Team Wins Int’l High Power Championships"
Bloemfontein, South Africa — The South African Rifle Team jumped out to an early lead in yesterday’s America Match at the General de Wet Range. Gaining ground in each of the four relays, the South Africans’ final tally reached 2362.251 before teams from the U.S. and England fired their final shot. By then, South Africa was in the clubhouse with a 13 point win. The America Match is a four-round team competition shot at 300, 600, 800 and 900 meters. Made up of eight-man teams, each has the opportunity to score up to 600 points per round. Shot last year during the NRA Long Range High Power Rifle Championships in Camp Perry, this is the first America Match win for South Africa. Though one may try, it is truly impossible to simulate game day situations in practice. All the preparation in the world will never prepare you for the tension or adrenaline spike that accompanies real life. The distractions are even greater when competing in South Africa. Though the American Match holds a special significance to those of us here in The States, American shooters have to toss those results aside. Same goes for the the English, the Welsh and the Irish. After all, they are only three days into ten day of competition. There are plenty of victories left to be had. Having the home field advantage has played well into the South African’s hands so far. The heat, the elevation (4,500 feet above sea level) and familiarity with the surroundings makes aiming that rifle all the more favorable for the locals. But it doesn’t have to stay that way. Things can change. 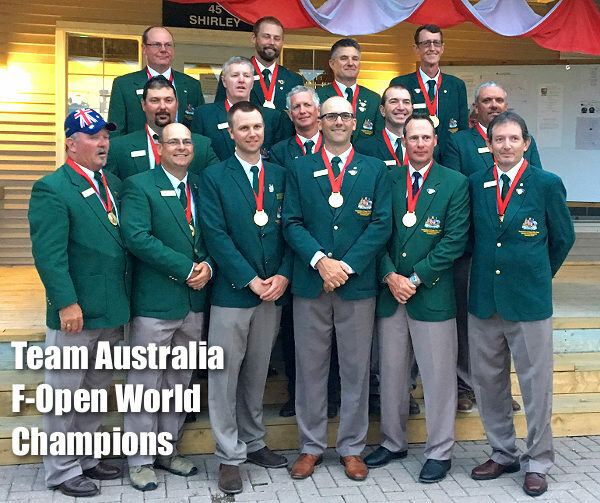 Yesterday’s match saw Team USA finish second. Under the leadership of Head Coach Norm Anderson, along with coaches Emil Praslic and Steve Harding, Team USA’s shooters (including Lane Buxton, Brandon Green, Michael Storer, Ty Cooper, Bob Gill, Nate Guernsey, Anette Wachter and Dave Crandell) are sure to find their mark soon enough. Thanks to Anette Wachter and James Watson for contributing to this post … both with pictures (Anette’s) and information. Follow Anette’s coverage of her long range high power shooting saga at www.30calgal.com. 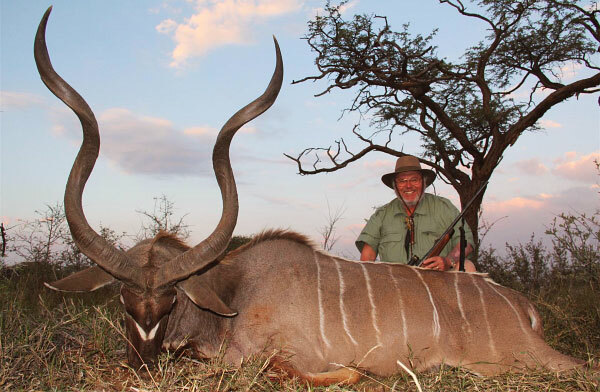 Share the post "Team South Africa Wins America Match and Team USA is Second"
GS Custom Bullets has been producing high-quality hunting and target bullets in South Africa since 1993. 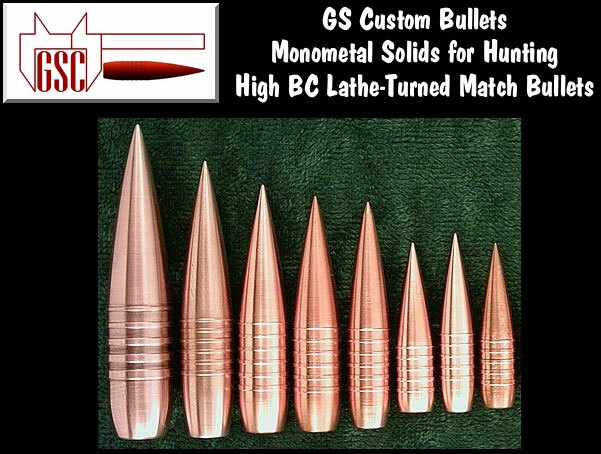 GS Custom Bullets specializes in monometal solids. 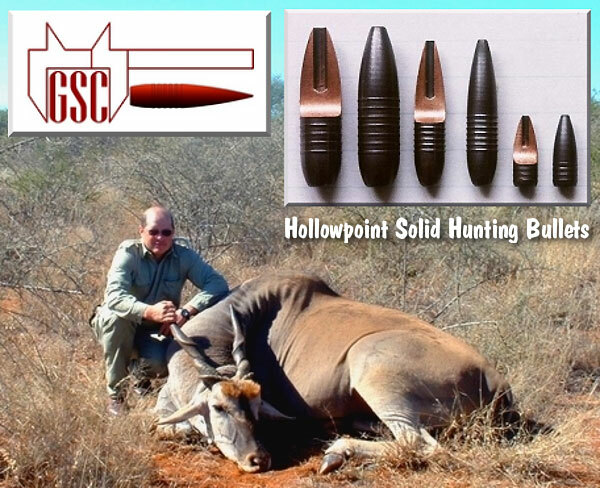 For hunters, the GS solids have proven extremely effective on game animals, including the biggest species on the African continent. The GS match bullets are CNC-machined to very exacting tolerances, offering superior concentricity and uniformity. The large match bullets feature drive bands for reduced engraving force, and an extremely slippery shape for exceptionally high ballistic coefficients. GS has made a special 1,100-grain 50-caliber projectile that has a calculated G1 BC of 1.85! This bullet, launched at 3400 fps, can stay supersonic out to 4,000 meters — that’s 2.49 miles! Gerard Schultz, founder of GS Custom Bullets, holds a number of patents on his bullet designs. Currently GS Custom is selling to the American market through its South African website, GSCustom.co.ZA. However, this year GS Custom hopes to expand production to North America, starting a production facility in the USA. The North American effort will be lead by Gerard Schultz’s daughter, Gina, and her husband Anthony. They can be contacted through GSCustomUSA.com. 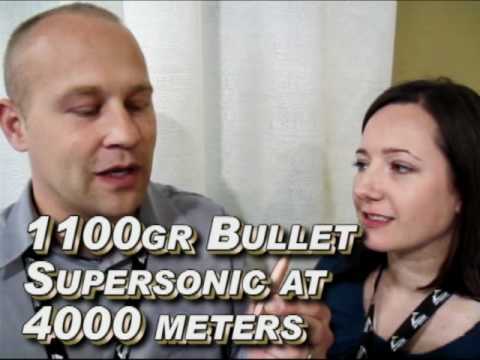 We met with Gina and Anthony at SHOT Show in Las Vegas and learned more about these remarkable bullet designs. The video is worth watching. These are no ordinary bullets. Share the post "SHOT Show Report: GS Custom Bullets from South Africa"
Can a rest be a work of art? Yes, it can — when crafted by John Loh of JJ Industries. John, one of the great guys in the sport, donated this rest to support the U.S. Team at the BR Worlds in South Africa. Share the post "Greatest Hits: Machining Art from John Loh"
The World Benchrest Championships are underway right now at the Krokodilspruit Range in Pretoria, South Africa. The 100m matches have been held and Team USA A is currently in the lead. Daily updates (with photos) are available on the WBC10.co.za website. Today, the 25th, 200 meter competition begins. So far, Gene Bukys (USA) won the HV100 meter with Roland Igle (FRA) second and Chris Harris (USA) third. Gene also nailed a 2.74mm small group (0.108″). In the Team standings the USA A team leads with Australia A in 2nd place and Italy in 3rd place. In the 2-Gun competition, Gene Bukys (USA) now leads the field, with Wayne Campbell (USA) in 2nd place and George Carter from Canada in 3rd place. Individual and Team match results are tabulated daily and posted online. You can download current results on the WBC10 Downloads page. Photos courtesy Renier, WBC10.co.za. Share the post "Early Results from World Benchrest Championship"
John Loh of JJ Industries has generously donated a complete front rest to be sold at the World Benchrest Championship (WBC-10) held at the Krokodilspruit Range in Pretoria, South Africa, June 22-29, 2009. 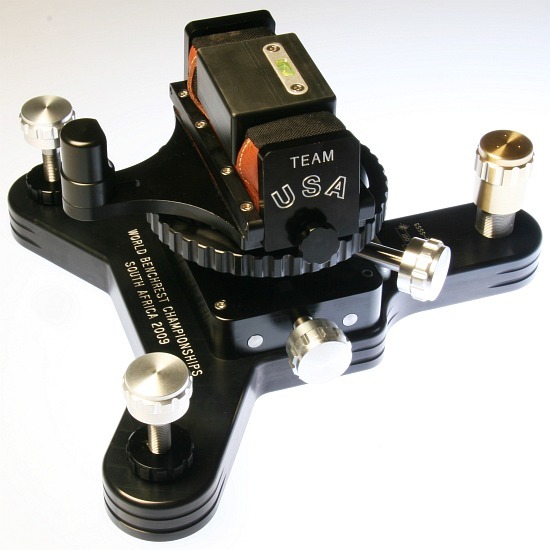 Proceeds from the sale will be used to defray the expenses of the USA Benchrest Team. The rest will be on display at the World Championships next week, and sold to the highest bidder. This WBC-10 Special Edition rest is based on John Loh’s impressive, 18-lb JJ Ultra Front Rest, sold for $879.95 commercially. John has added some unique upgrades for this one-of-a-kind, 22-lb Special Edition. The center shaft is beefier, with a larger diameter. All the knobs (other than the bearing bronze rear adjuster) are crafted from machined aluminum. Loh front rests are already noted for allowing super-smooth and precise vertical and horizontal adjustments, and the larger center column makes this special unit even better. The rest comes with a 3″-wide Edgewood front bag fitted with a spacer block with bubble level. 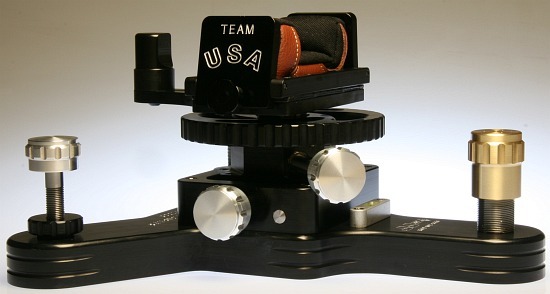 The side plates for the top bag are inscribed with “TEAM USA” and “World Benchrest Championships – South Africa 2009″ is engraved on the front of the base plate. 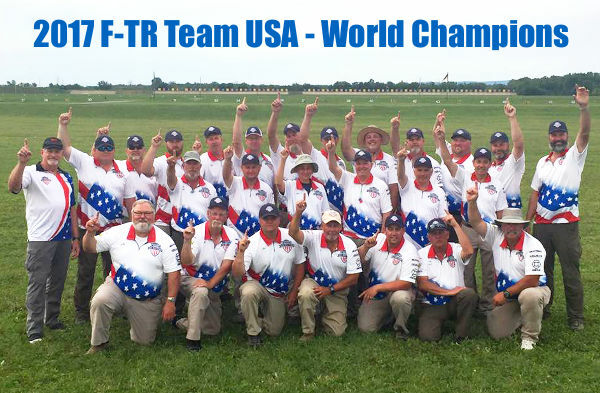 Share the post "Loh Rest Benefits Team USA at World Championship"
The 2009 World Benchrest Championship (WBC-10) will be held at the Krokodilspruit Range in Pretoria, South Africa June 22-29, 2009. WBC-10 includes matches at 100m, 200m, and 300m. Complete information on the upcoming event are available at the WBC10 website, wbc10.co.za. A handy FAQ Page provides answers to questions about accommodation, transport, and South African firearms laws. CLICK HERE for WBC10 Event Schedule. 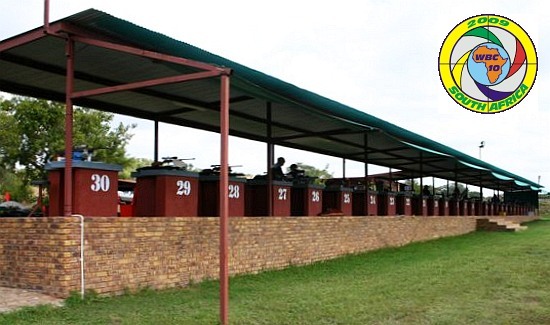 Krokodilspruit is a modern multi-purpose shooting range situated approximately 23 kilometers north of Pretoria and is the home range of the Gauteng Benchrest Shooting Association. 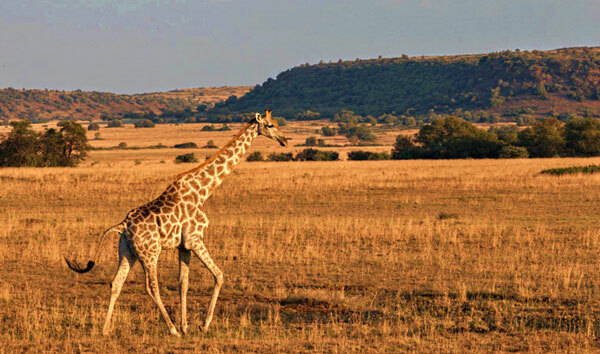 June is the first month of winter in South Africa, but this area has little rainfall in winter. Something New for 300 Meter Stage? Most American short-range Benchrest matches are shot at 100 and 200 yards only. WBC-10 includes a 300m match on Saturday, June 27th. 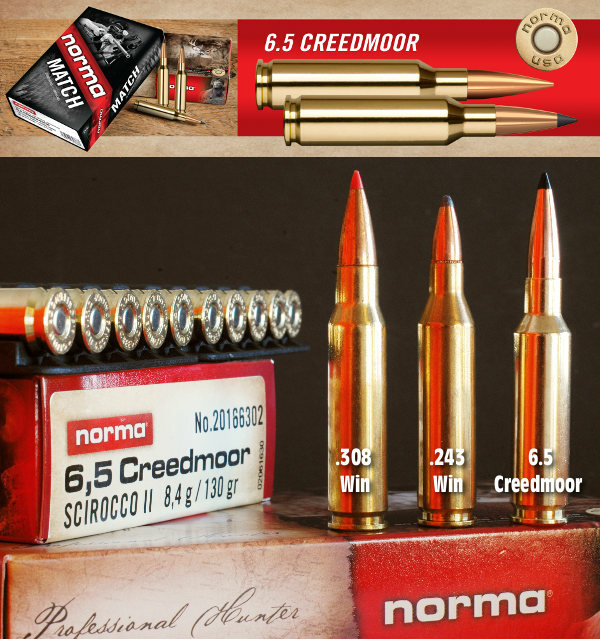 As South Africa is known for strong and challenging winds, it will be interesting to see if some competitors try heavier, higher-BC bullets at 300m rather than the typical 60-70gr flatbase 6mm bullets used at 100 and 200. 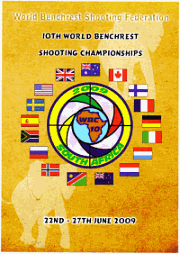 Share the post "South Africa Hosts World Benchrest Championship June 22-29"
Spc. Tyrel Cooper of the USAMU won the individual championship at the South African Bisley Union (SABU) 80th Anniversary Match. For the past two years, Ty has been one of the best long-range shooters in the world. 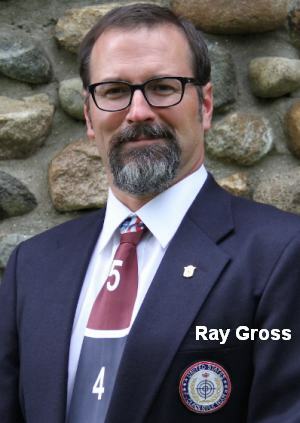 In 2008 he won the Target Rifle Overall Aggregate at the Spirit of America Match. Congrats to Ty for outstanding shooting in South Africa! Note: In South Africa, the “v”-count is equivalent to the “X”-count in North America. Share the post "Report from South Africa: Ty Cooper wins Individual Match, South Africa Wins Team Comps"
The United States National Rifle Team, supported by the NRA, has traveled to South Africa to participate in the South African Bisley Union matches and their national championships, held at Bloemfontein, South Africa, March 26 – April 4. This year marks the 80th Anniversary of the South African matches. This will be a fullbore competition for Target Rifle class and F-Class at distances from 300 to 900 meters. There will also be a series of .303 club matches as well as Junior matches. The team is led by Team Captain Dennis Flaherty of California; Vice Captain Dan Simpson of New Hampshire; and Vice Captain Tom Whitaker, also from California. SFC Emil Praslick III, U.S. Army, will function as Head Coach during this tour. Ian Cheesman and Robert Steketee round out the team officers with Ian as Adjutant and Robert functioning as the South Africa Touring Trip Team Adjutant. During the first week there will be individual matches culminating in a 12-man team match to determine the top National team in the 80th Anniversary matches. After an overnight in Johannesburg the Team traveled to Bloemfontein on Monday. Tuesday and Wednesday will be training days with the individual matches to begin on Thursday, March 26th. CLICK HERE to download 80th Anniversary Match Schedule and Info Forms. This report is courtesy the NRA Blog and H.J. “Walt” Walter, NRA Board Member. 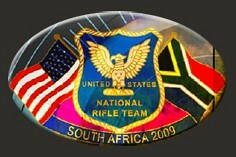 Share the post "U.S. National Rifle Team Competes in South Africa"